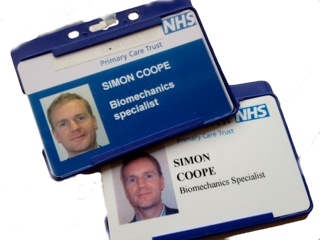 Simon John Walton Coope currently practices from Spire Hull & East Riding Hospital and Nuffield Health York Hospital (MedicoLegal). Qualified with a Batchelor of Science degree in Podiatry from New College Durham School of Podiatric Medicine in conjunction with studies at University of Sunderland Health Science departments and Newcastle University Anatomy department. Additional learning from the Royal College of Surgeons / Football association joint conference at Lilleshall National Sports Injury Centre 1993. Purey Cust Nuffield Hospital, York. Humberside Police Occupational Health Department. Lincolnshire Police Occupational Health, Welfare & Safety Department. World Cup exclusive Daily Express front page comment regarding David Beckham’s metatatarsal stress fracture. Lecture title – ‘The Biomechanics of the Rheumatoid foot’ as part of the University of Bath post graduate primary care Rheumatology course 1996. Various presentations given to Podiatrists, Physiotherapists, GP’s Consulatant surgeons and physicians. ‘Long term surgical outcomes of nail surgery with chemical ablation’. Review of private patients. 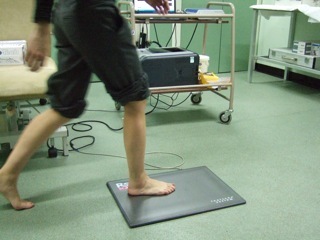 ‘The effectiveness of Custom foot orthoses v preform insoles in the treatment of various foot/ankle conditions’ in Doncaster NHS Trust Biomechanics clinic.